When you want to fly a drone in Thailand, you have to take some hurdles. In this article, I explain you which conditions you have to fulfill. In recent years, the rules for drone pilots in Thailand have changed very often. There are many confusions, and not all the information you find on the internet is up to date. But I will try to give you an up-to-date and complete overview of the legal situation in the Kingdom. The CAAT regulates air traffic in Thailand. Since 2017, registration with the CAAT is required if your drone is equipped with a camera or weighs more than 2 kilograms. This means that all common drones (including DJI Mavic Air and DJI Spark) must be registered. Since summer 2018 the registration can be done via the online platform www.caat.or.th/uav/. Currently, the platform has a few start problems (for example, long load times). You will be guided through the registration process in a structured way. Much of the interface is in Thai. However, the relevant fields have also been translated into English, so you can fill in all the forms well. During the process, you have to give a lot of personal information. In addition, you will need to upload a signed self-report, a picture of the drone showing the serial number, and proof of your drone insurance. If you have any questions, please call CAAT on 0066 (0) 2568 8815. After you have sent the complete documents, the CAAT checks your application. To date, three other authorities have been contacted: the National Intelligence Agency, the Office of the Narcotics Control Board, and the Immigration Bureau. This background check is to ensure that you have not committed any legal violations in Thailand yet. Since the examination of your person is very time-consuming, you have to expect a processing time of three to four months! I could not find out yet if all authorities are still consulted with the new online registration. Even if the permission of the NBTC (see below) still has to be obtained, I am not clear yet. The following two paragraphs (NBTC and the frequent questions) may, therefore, be out of date. I try to clarify it as quickly as possible. Approval from the NBTC becomes necessary if your drone weighs more than 250 grams and is operated with a controller. The NBTC regulates the radio frequencies in Thailand. Registering with the NBTC is easy within 10-15 minutes at one of the NBTC offices. Currently, there are different empirical values, whether the CAAT passes on your data to the NBTC. If you got your approval from the CAAT, you should ask if you still have to take care of this authorization or if the CAAT has already taken over this step for you. However, if registration with the NBTC is not carried out and the police catch you, then you may face up to 5 years imprisonment or a fine of 100,000 THB. Do I have to register my DJI Spark / DJI Mavic Pro / … for my Thailand vacation? Yes, because these drones have a camera. You can find more information above. I only visit Thailand in transit and do not want to start my drone in Thailand. Can I get in trouble if I have no registration? There should be no problems. The customs are not interested in drones, and the registrations are only required for the operation of unmanned aerial vehicles. However, it can be critical if you get the impression that you want to resell the drone in Thailand (for example, if you import the drone in its original sealed packaging). I am flying to Thailand in a few weeks/days and would like to take my drone with me. Now I have read that I have to do the registration. What can I do now? It’s too late to register with the CAAT. Nevertheless, I would send the documents in your situation. So if in doubt, you have something in your hand, what you can show on site. Besides, you should register with the NBTC in Thailand. Also, you can go to a police station in Thailand and get a permit there. I’m not sure what legal validity these approvals have. But some pilots have received an official document in this way, which they can show at a check. With all these documents, you can demonstrate your goodwill and improve your position significantly, if it should come to questions. If you shy away from the effort, you’d better leave your drone at home. How long does it take to register with the CAAT? The current experience of our readers is between 75 and 104 days. However, I hope that the number of registrations will be reduced in the course of 2018, thus shortening the processing time. After completing the registration of your drone, of course, there are more rules. Here is an overview of the most important provisions. Maximum flight altitude: In Thailand, drones are allowed to climb a maximum of 90 meters (=300 feet). Maximum horizontal distance and FPV: Your drone must be always in sight. Compulsory insurance: Drone insurance is compulsory in Thailand. The insurance must cover damages of at least one million baht (about 27,000 euro). Maximum take-off weight (MTOW): If you want to fly privately and no camera is mounted on your drone, a maximum take-off weight of 2 kilograms applies to your multicopter. For a higher weight, you need the approval of the Civil Aviation Authority of Thailand (CAAT). From a starting weight of 25 kilograms, you need a separate approval from the Ministry of Transport. Distance to airports: You have to stay 9 kilometers (= 5 miles) away from airports. Other safe distances: You may approach a maximum of 30 meters of people, vehicles, and buildings. The prescribed distance is 50 meters for approved drones. Flight bans: You must not fly near crowds. It is not allowed to fly over cities and villages. Flight approval: You must always obtain the permission of the landowner to start and land. In practice, we usually solve this in such a way that we ask the guards for permission or inform us at the info counters. Time of operations: Drone flights are allowed in Thailand only in daylight, so in the time between sunrise and sunset. Specific regulations: In Thailand, a minimum age of 20 is required to operate a multicopter. Regulations for commercial pilots: Commercial pilots need permission for their flight maneuvers. Good to know: Flights in Chiang Mai must be generally approved by the air traffic control because the airport is so close to the city. We have obtained the appropriate permission. But you should call a few days before so that the colleagues in the tower can coordinate with their bosses. Also, the approval of overflights in the historic park of Ayutthaya is necessary. The Historical Park Office grants the permission, which is open daily from 8:30 to 16:30. According to the tourist information, the permit costs 5,000 baht. We have researched the listed drone regulations for Thailand to the best of our knowledge. We cannot guarantee the correctness of the information. If you want to be on the safe side, contact the Thai aviation authority. Alternatively, you can also ask the Thai embassy in your country for further information about the regulations. Please leave us a comment when you receive news and/or gain experience with your copter in Thailand! I am going in December, I am first in Bangkok for 1 night and then going to Cambodia for most of the trip after this. I plan on using it in Cambodia, obviously not in the temple area etc, in the areas I am allowed. I then fly to Phuket for 5 nights. I won’t be doing the islands again so doubt will bother to use it. Do I still need to do all of this paperwork if I have no plans on using it in Thailand? Obviously, everyone will say this, so I am dubious about telling the customs when I arrive but are these documents only needed if you fly it, or do you need it just to get it in the country? I brought mine. It went through the customs. I didn’t have any authorization at this time. They didn’t say anything. As long as it doesn’t fly, they can’t tell you anything. I asked a customs officer on arrival at the bkk airport and was told I needed to have the “paperwork” before it enters the country. No explanation on what kind of paperwork, so I suspect she may not really know the answer. Of the two officers at the station, she appeared to be the only one who spoke English. Is it allowed to fly over a temple in Thailand? If you want to do ! you have to ask permission of Chief Monk that is the minimum be care some Monk do not like …. Hello everybody must to know !! Finally, the authorities eventually translated their computer infographics which definitively clarifies the recording and confirms that a recording in NBTC (radio) in no way gives permission to fly as thought by a number of people in the forums !!! The second point, if you are not long stay resident or ( do not have workpermit with house registration TH13 or TH14 ) probably nerver you vill recieve your license from CAAT after application …..
Technically nothing should be higher than Buddha, so flying over the temple would be VERY disrespectful. You could orbit the temple as a point of interest, but again, you should be mindful of height and proximity. Hahaha, so all airlines in Thailand are violating religious rules? Sure they should stop that blasphemy! C’mon get a live! Just to let you guys know. One week ago I sended all my Information (forms, insurance, passport copy, pictures of uav) to the caat. 3 DAYS LATER I got an answer: They now have an online registration system. I just filled out everything. Once you got your insurance information from your insurance company its an easy system. Hopefully this works fast. Flying to thailand in december. Say please, where you make insurance for Thailnd? May be you can give website? Thanks! So, did received you final license from CAAT ? Registration act is not an license !!! An normally Insurance request the feedback doc this license to be valid !!! What about house registration? Did you send anything? I sent all documents, all forms, proof of worldwide insurance with Drone Cover Club in the UK with the limit way above requirement, pictures of drone and my passport. House registration was the only thing I did not include because I did not know what to send them. It’s almost 4 weeks now and I did not receive any reply. Did they reply to you via e-mail? Hi, I am going to Thailand in September and it could be too late to file for a permit. I own a Spark and I take it everywhere I travel to. If I bring the drone in Thailand without the necessary permit, will customs seize it? Can I then just go to a police station and register my drone so I can operate the drone? Hi Mark… i am in the same situation as you but fly out in 2 weeks….. have you got more info on whether it can be taken without registering and if so will it be seized ? I’m in Thailand now with Mavic. I would suggest NOT flying it. I got permission from a temple to fly then the bank across the street from temple came out yelling at me. Hi Chris, I wonder if you can help me please, did your flight connect at Dubia, if so any issues? did they know that you had a drone? I’m planning on taking my Mavic 2P in November and register in person in Bangkok with insurance and the other documents. 1. 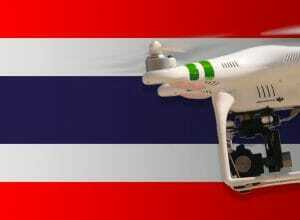 Radio controlled Drones brought into Thailand needed import permits & registration from the NBTC. Failure to secure import permits may result in regulatory and criminal sanctions. Criminal penalties include fines of up to 100,000 baht and/or imprisonment for up to 5 years. 2. Drones with import permit must be declared to the Customs department at the port of entry. 3 .Drone launchers/controllers need to secure drone launcher registration/licenses with the CAAT and follow drone flying rules. Failure to secure drone launcher registration/licenses may result in regulatory and criminal sanctions. Criminal penalties include fines of up to 50,000 baht and/or imprisonment for up to 1 years. Bad and stupid answer !!! When you say “Drone insurance is compulsory in Thailand,” does this mean *specifically* it must be called drone (or aviation) insurance? Many US renters insurance policies also cover personal liability & property damage to others. This coverage is not limited to the United States, and does not exclude damage caused by drones (confirmed both in the policy wording & with the insurer directly). Would Thailand not accept this, because it’s not specifically called “drone insurance,” and thus it’s necessary to get redundant/identical “drone insurance?” Or all they really require is “personal liability / property damage insurance that covers drones when flown in Thailand”? Are you long stay resident ? I suppose no ! Please, read ID identification and House registration request…….. Welcome to the tourists under exemption 30 day or Visa 2 months ……………..
I’m from the UK on location in Thailand and i have been told that “house registration” is where you are staying (hotel) and regarding “National ID” would be your passport for me in the UK, can anyone confirm this? 5 years in Thai prison…. no thanks. Even with papers would i risk it. I’ll do a trip through South Asia next year. I am probably going to Thailand as weel. I don’t have any intentions to fly in Thailand. Do you guys think I’ll have a problem to get in the country? Your math is way wrong. The Mavic Air weighs 430 Grams and 0.43 kilo. YOU DO NOT HAVE TO REGISTER IT… even says on DJI Thailand site. It’s not about the weight..
do you not understand, smart guy? If you can actually find where that was advertised in the Royal Gazette then ok.. at present many people do not consider that to be a correct law as it has not been advertised in the Royal Gazette. CAAT will therefore accept to validate a license only if you produce the policy number the minimum coverage of 1 million baht and of course the certificate on your behalf Note that the insurance request 5 photos of the drone and all serial numbers modules ..
hello, i have a question. does it allow to make fly drone in Phuket island? I am very surprised that no one will question me about this major regulation since it determines the legality of your flight if you of course have a flight license provided by the CAAT and your insurance will follow this map. I’m on location in Thailand and i have been told that “house registration” is where you are staying and regarding “National ID” would be your passport for me in the UK, can anyone confirm this? the Tourist status is not currently taken into account by the CAAT authority in charge of issuing the UAV flight licenses is what emerges a priori but the authority does not seem to want to communicate and clarify officially on this point for reasons ……. Please note that CAAT has translated the procedure to the online registration in English Note therefore the 3rd step that requires a Tabien ban Ngnor TS 13 house book certification and the national identity card 13 Digit issued to foreigners code 6 if you do not produce these documents your registration will not be validated according to the procedure and the authority is not obliged to inform you …. Your link is incorrect, and I have received both parts of my registration (CAAT and NBTC). I did not have to provide either of the documents your state in your post. Keith, I’m very interested to know if you applied from the UK and how long did it take? So to confirm that you were not required to provide house registration and ID card ? Hey David. I applied in Thailand, did the CAAT thing online, and went to the NBTC in BKK. My drone was purchased in Thailand. I do live here on a Non immigrant visa, which they took a copy of. No I do have the house reg document or an ID card, I do have a drivers licence, but they did not ask for this. I have both parts through now. The CAAT one did take about 5 months to come through. I applied from the UK. Took 4 months online for them to get back to me. Then I had to send them more information. It never came back in time and didnt take my drone. They never reply to any emails or questions. But now I am here, it wouldn’t of been an issue going through the airport, I am in khao Lak. I haven’t seen anyone to in force the law, few people using drones. No one seems to mind. Remember, I am resident in Thailand and I have my official license 6 months ago !!! Sorry My link is correct !!! yes sorry your link was correct, the whole of the CAAT site was down. It started working about an hour latter. I am a resident too, but despite what caat say on there website, they let me registered with my passport only. It did take about 5 months to come through, I got the NBTC very quickly. About registration with your passeport no problem ! Sorry Duleroy, that is incorrect. You have to register with both CAAT and NBTC for different reasons. When you buy a drone from a dealer here, they will do both registrations for you. I recently bought a Mavic 2 here and already have my NBTC registration through, Still waiting on CAAT. You have to have permission from CAAT to fly, you also need to have permission from the NBTC as it using radio transmission. If you do not have a “Certificate of registration for Radio Communication in Unamanned Aerial Vehicles”, then you are operating your drone illegally here and can face up to five years in jail or 100,000 baht fine or both. If you are a tourist, you also need a import licence from the NBTC as you are importing equipment that can transmit a radio signal. I have registered with both for my Mavic Pro and these were the steps I had to take. As a tourist you can get a temperoay import licence with the NBTC. You do not need a tabien or a Thai ID card as both the NBTC and CAAT will allow you to do this as a tourist. As resident, depending on what visa you are here on will depend on the requirements. I am here on a marriage visa, so do not have a yellow Tabien ban or a ID card, but was able to register with my passport and visa, on both occasions with the NBTC. I am still waiting on the CAAT licence, but my wife managed to call them as she did not believe the dealer here, and they said despite what the website says, I am able to register. Also you can contact the NBTC office in BKK or Chang Mai, I was at the BKK last week registering a friends drone who is coming on holiday. He already has the CAAT bit has he applied in may for that. As you live in Thailand you surly know despite what websites say here, its not always the case, its Thailand. I made a video on the registration process and spoke to a lot of people before I posted the video including DJI store 13, DJI phantom, and several smaller dealers, plus people from both the NBTC and CAAT. This is the current process, you need both parts plus insurance and an import licence if your drone was purchased outside of Thailand to be legal to fly here. Hi, I’ll be in BKK on 14th this month for a week and I don’t think I’ll manage to get all the documents done in time…I plan to fly my dji spark only on my trip to Khao Yai for some scenery shots and no plan to fly it in the city. Do you guys think by only getting permission from the owner of the places I visit at Khao Yai I can fly it without those formal documents? No ! Alla province is under restriction drone fly included the bridge code RED VTD 17 !!! Technically you need an important licence as you are importing goods that can broadcast a radio singnal and by Thai law you have to get permission. So customs could confiscate your drone. Having said all that, I have never been asked to produce my NBTC licence and I have had my bags checked twice and they have seen the drone, so you should be ok.
Yikes. Reading this thread and all the various drone law websites that have information on Thailand makes me think it’s just not worth the risk or the headache. It’s such a shame that from a drone perspective, Thailand is such a difficult country to fly in. I will be traveling there in May, but I can’t help but worry that even if I go through all the hassle of getting multiple permits, insurance, and permission — I still risk somehow losing it at customs or while flying. Had I known this earlier, I would skip Thailand and choose different SE Asian countries that are more drone friendly.